Raspberry Bulls Eyes - A fruity twist on the traditional minty favourite. 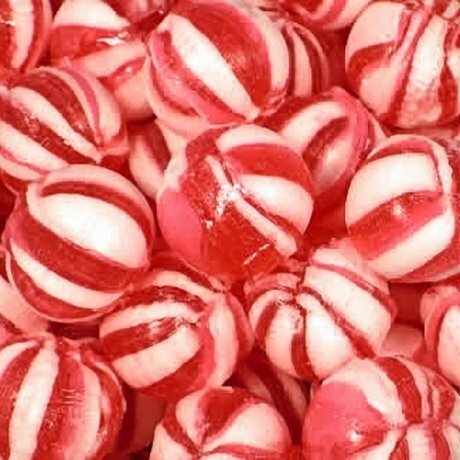 The concept is the same - white and coloured stripy boiled sweet - except this time the colour is pink not black and the flavour is raspberry not mint. They contain no artificial colours.